. . . for a long, long time. 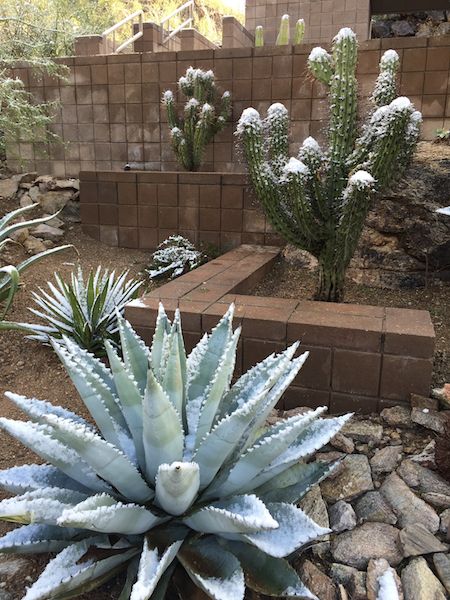 I have lived through sixty summers of desert heat, and sixty winters, springs and falls of the soft mellow desert days. Me. One of those early early summers. 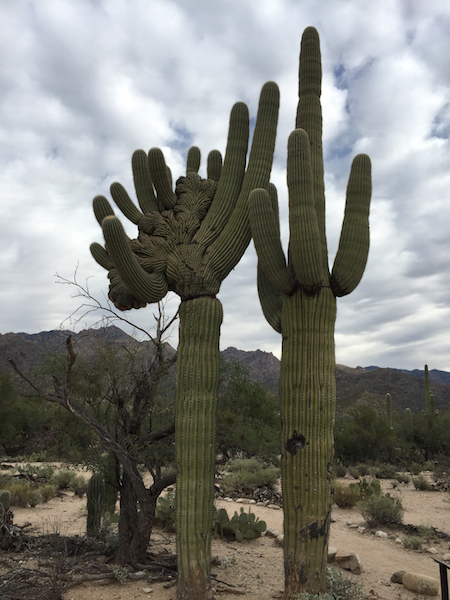 Saguaros showing off in Tucson Mountain Park. Me. Experiencing the winter highway of my great and grandfather. This is Sand Bay, Nasawaupee Township, Door County, Wisconsin. Me. 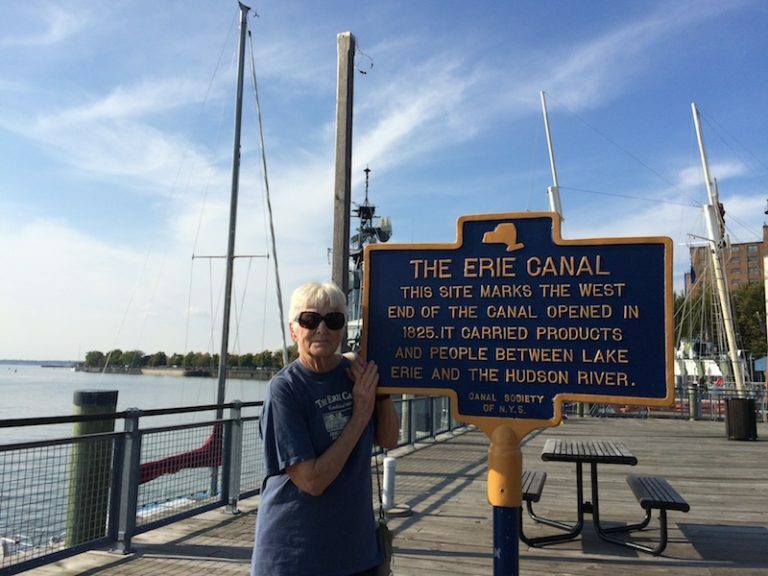 In Buffalo, New York, the end of the route of the Hudson River and Erie Canal. 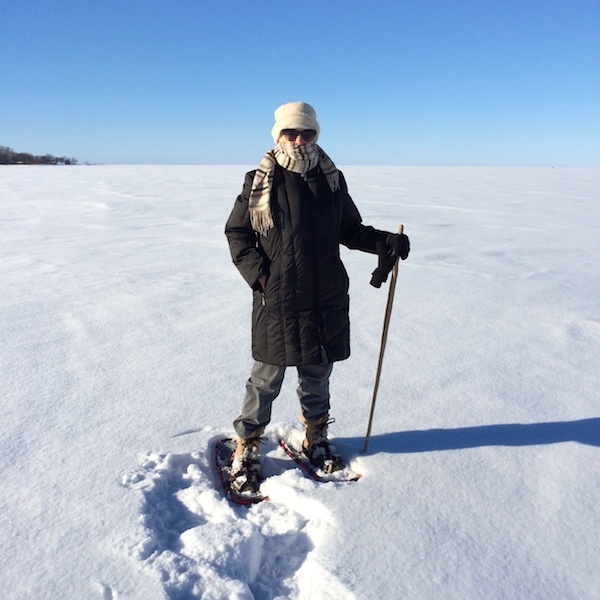 Here the journey began through the Great Lakes of the midwest. Not me. 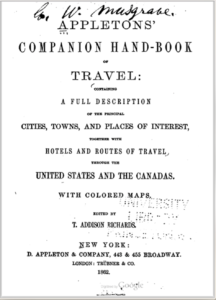 A travel guide of 1881—used by an earlier traveler of the family — read the book. Me again. 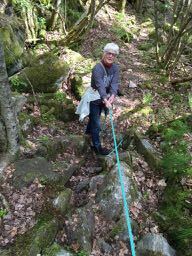 Walking an old pathway to the home where my grandmother was born in Bamble, Norway. 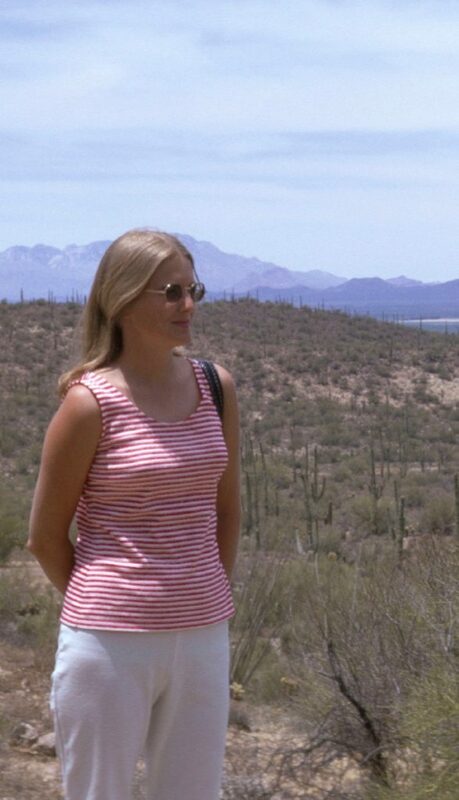 I live in the desert town of Tucson, Arizona, regularly commuting to all places where my ancestors strode, sailed or wagon-rode. 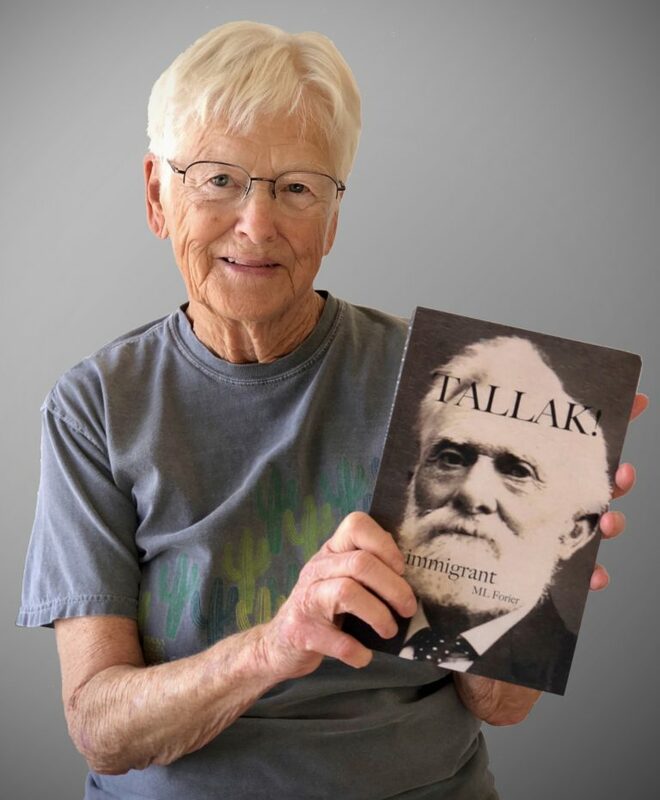 I have combined my joy of exploring the places and times of nineteenth century immigration with my lifetime writing expertise attained through past professions, numerous writing classes, seminars, workshops. My hair is the same color as Tallak’s— truth is, I am quite old. I fashion it as “Aged to Awsome,” but that doesn’t apply to face or waist. Not too old, however, to write a book, combining those skills of a lifetime . . . Age has only energized my pen! My book is of travel, adventure, tragedy, mystery, love and magic. I crafted this glimpse of the lives that were lived before me, lives that touched mine — and I wrote. I wrote my story. Come with me as we visit our ancestors. 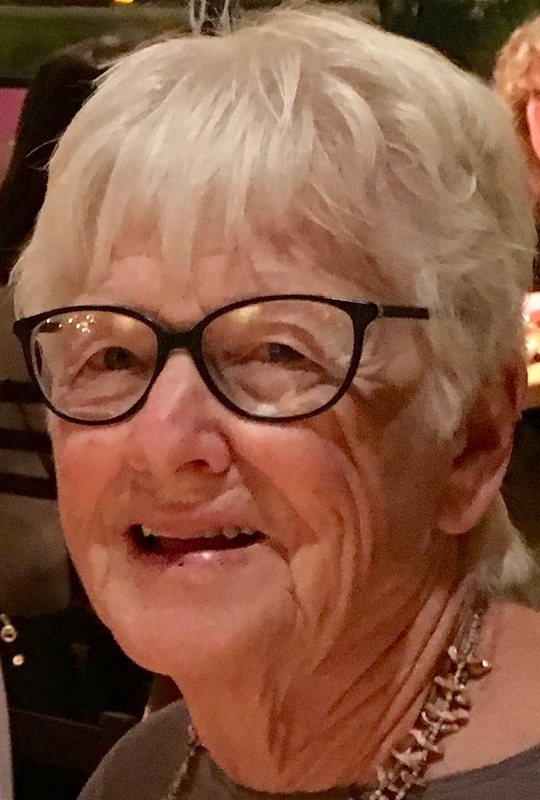 Tell me about your immigration story. Yesterday or today—how did you get here to the United States? Do you have a comment about TALLAK! immigrant? Here’s the place to ask your questions or tell your story . . .